The Workshop is divided into eight units. Each unit focuses on one area of project management, and includes lectures, discussion and in-class activities. Participants apply the tools and methods learned in the workshop to in-class case studies. Stakeholder Management– Project Management is possibly the most underrated yet critical position an individual can hold in an organization. One of the more critical aspects of being a project manager is stakeholder management, by managing your stakeholders well enough, you will be able to smoothen out your business to no end. Risk gets mitigated, tolerance for errors and risks from the stakeholders. All in all, good stakeholder management is always beneficial to your business, it can generate testimonials, drive-in more revenue through newer customers and is a key component in running a successful project and a successful business. Scope Control: Usually conducted throughout the duration of the project to maintain quality. Schedule Management- Simply put, if you’re a project manager you obviously have to adhere to a schedule and conform to the deadline set in front of you. This course will elaborate more on how to properly plan a timeline, list out project milestones and manage time and employees efficiently enough to stick to a schedule! Risk Management- Project risk management involves identifying, analyzing and then coming up with solutions to fix a problem or a potential one. 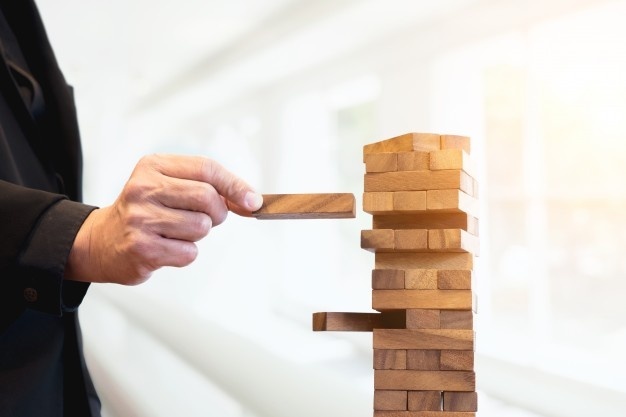 Risk Management is an important aspect of project management since it signals the potential hiccups the manager could experience when trying to execute a project to the best of his/her abilities. This course will elaborate more on how to identify upcoming risk, prepare for it proactively and make sure said risk does not affect the delivery and timeline of the project. Cost Management- As a project manager you have two primary duties; deliver the project on time and keep it within budget. Cost Management for this training course teaches attendees how to keep a project within a budget; estimating cost, determining budget and of course controlling cost. Human Resources and Communications Management- Finding and hiring the right people is often cited as the number one concern of businesses today. It seems we are all competing for the best and brightest workers. As you will see in our time together in the second course, a critical component of the People Manager Value Proposition is to hire talented people who enable the organization to achieve its strategic goals. This part of the course is an introduction into the topic of recruitment, selection and onboarding. Quality Management- Is the process which ensures that the quality of goods/services an organization offers remains consistent, of course, we wouldn’t need to highlight how good quality management can transform a business single-handedly. What this course teaches is how to ensure that relevant quality control management processes are used which benefit your business entirely without being too heavy on your pockets. Integrated Change Management and Closing Project- Change Management is the process of transitioning and organization in the least damaging way possible, the transformation of cultures, processes and procedures are all included in Change Management. The purpose of ‘integrated change management’ is to hit the target set by integrating organizational and individual change combined with the integration of project and change management. This course elaborates and equips participants with apt knowledge on this subject! Target/Suitable attendees for these workshops are those who are in aspiring leadership positions who wish to deliver positive impact from the role and/or line managers wishing to increase their understanding and capability in Management’s best practices. Class sizes are preferred at 6 to 24 attendees but this can be amended to accommodate organisation and individual needs. Meaning of project, and history of project management.